The Emerald Planet (EP-RF-R1) Photoelectric Smoke Alarm is powered by 2 x 1.5V AA Replaceable batteries. 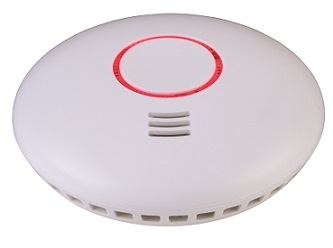 This alarm can be stand-alone or can be connected (wireless RF) with up to 30 alarms. This allows all smoke alarms connected to activate simultaneously. The alarm is fitted with a test/hush/silence button to facilitate testing of the alarm. The silence function allows the alarm/system to be silenced in the case of a false alarm. Silencing one alarm will silence all connected alarms. The Emerald Planet (EP-SA-R1) Photoelectric Smoke Alarm is powered by a 1YR 9V Replaceable Battery. The Emerald Planet (EP-HW-240-Li10) Photoelectric Smoke Alarm is powered by a 240V mains power and supported by a 10YR Lithium battery back-up. 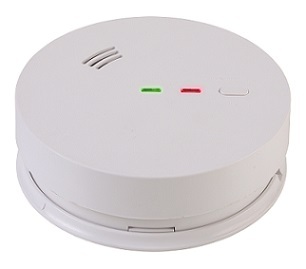 The Emerald Planet RF base is an additional accessory to standard 240V smoke alarms. Installation is made easy with large terminals and a wide (140mm) base that allows for imperfect ceilings and coverage. 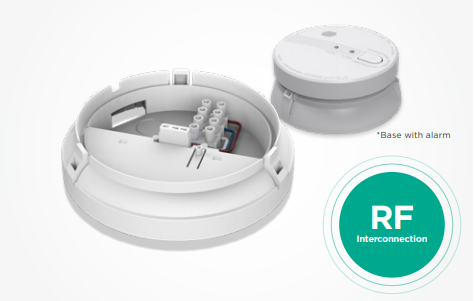 After installing the RF base, the 240V smoke alarm is simply plugged directly into the base to function. It can then be easily removed for maintenance. 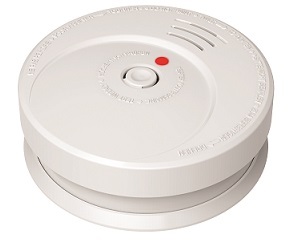 The Emerald Planet EP Base is an additional accessory to standard 240V smoke alarms. Installation is made easy with large terminals and a wide (140mm) base that allows for imperfect ceilings and coverage. 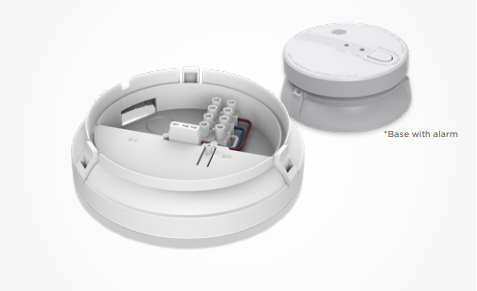 After installing the base, the 240V smoke alarms is simply plugged directly into the base to function. It can then be easily removed for maintenance. The Emerald Planet (EP-HW-240-R1) Photoelectric Smoke Alarm is powered by 240V mains power and supported by a 9V battery back-up.